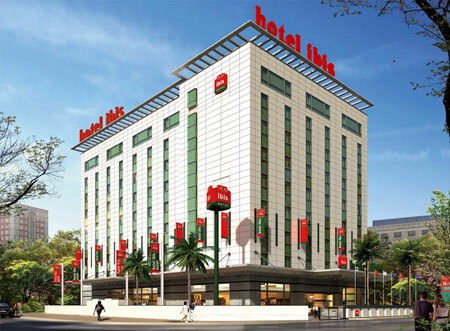 Hotel ibis Mumbai Airport located less than 1 km from Mumbai Domestic Airport and 15 minutes from International Airport. The Hotel features 148 comfortable rooms with high-speed Internet access, air conditioning, connecting rooms and flat screen TV. The Spice It restaurant and Hub bar offers authentic and international cuisines, 24 hours daily. WI-FI at Hotel lobby for guests. 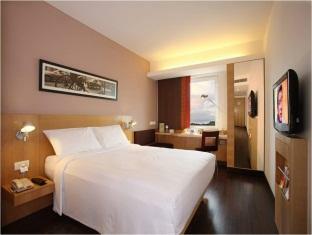 The hotel offers 148 guestrooms, including Standard 1 Double Bed and Standard 2 Single Beds rooms. Standard rooms accommodate up to 2 adults. The Ibis breakfast is an ‘all-you-can-eat buffet’ served between 6.30 and 10 am, combining all the elements of a traditional continental breakfast. Wherever you are in the world, you’ll find Ibis breakfasts also include local specialties for you to enjoy. 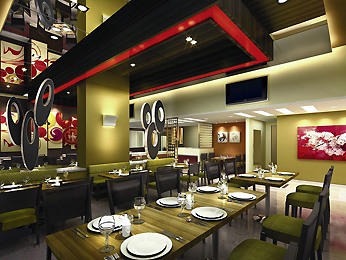 The Spice It international restaurant provides an entertaining, energetic and vibrant style of dining with its interactive kitchen. Choose to dine buffet or A La Carte with a variety of food and snack choices from around the world. Spice It restaurant is open 24 hours. Savor a combination of value and convenience at the Hub Bar. 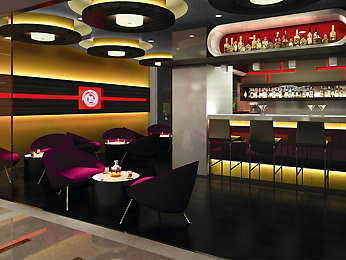 Choose to wind down after a busy day over snacks, drinks and complimentary High Speed Internet access. Open from 11am to 1am.